The Steam Workshop for Skyrim has just been released and we've already seen a flurry of new mods uploaded. 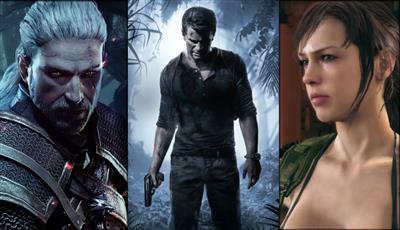 Most mods are still work in progress but there are a few gems that are worth downloading now. The Steam Workshop is the official modders marketplace where developers and aspiring designers can upload their Creation Kit mods. 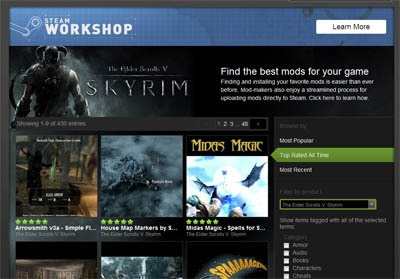 Gamers can access the Workshop through the Steam client or by browsing online at http://steamcommunity.com. Just subscribe to a particular mod to download and give it a try. Mods fall into several categories in the Steam Workshop. 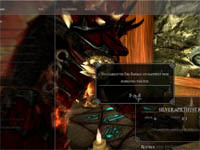 There are over 20 categories ranging from armor and weapons to characters and quests. The full list of categories is at the end of this article. Imagination is the only limitation..
Let's take a look at the best Skyrim Workshop mods so far..
Summon Sheogorath to fight with you for a day. This is an expert conjuration spell which like other conjuration spells will summon an NPC to fight along side you. Sheogorath uses the Wabbajack which is a mysterious staff that changes enemies into random creatures. It's great for turning the tide of the battle by morphing opponents into weaker creatures. To use this new Conjuration spell you'll need to find the spell tome but the author won't say exactly where its hidden..only that you'll find it in the Pelagius Wing in Blue Palace. Ahh, an excellent and welcome mod for those who love archery. 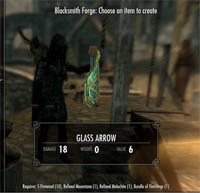 This mod allows you to create new arrows for your bows rather than having to scavenge them. This is something that was sadly missing from the original game. The homepage for the mod lists the recipes you need to create new arrows. Basically it boils down to a combination of using the tanning rack to create the fletching's and then combining raw elements to create a particular type of arrow e.g. Orichalcum Ingot for Orchish arrows, Refined Moonstone and Quicksilver Ingo for Elven arrows.. The Dwarven Spider would make a create companion wouldn't it? A good fighter that never runs out of juice. 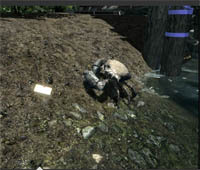 Thanks to this mod you can get one of this critters to follow you around. 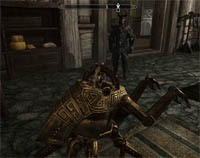 You'll find the Dwarven Spider in Whiterun. Just like other companions it cannot be killed and will fight all day long. 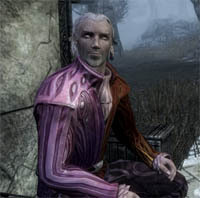 As you probably know, Skyrim imposes enchanting restrictions depending on the type of amour you're trying to enchant. If you agree that this restriction is wrong, then this mod aims to put things right for you. You can apply an enchantment to you apparel no matter what it is. So you might want to create a shield that fortifies sneak or a helmet that fortifies block. It's all possible. 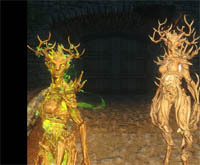 The Spriggan is a bit like Natures Guardian and they can summon black bears to fight for them. They can also completely heal themselves when hurt. This mod adds several new Spell Tomes that you can use to conjurer a Spriggan. Currently includes; Conjure Spriggan; Conjure Spriggan Thrall; Conjure Spriggan Matron; Conjure Spriggan Matron Thrall. You'll find the Spell Tome in a chest in Whiterun, just follow the path off to the right after you pass through the gates. 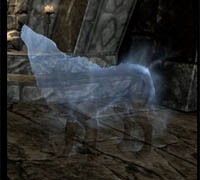 The familiar or wolf in Skyrim is quite a useless conjuration. He usually dies pretty quickly in combat unless it's very early in the game. This mod will strengthen the familiar and make him a more reasonable sidekick. The mod increases his health and he now levels up with you too. Rather than the familiar disappearing quite quickly, he will stay with you for 24 hours just like a real canine companion. 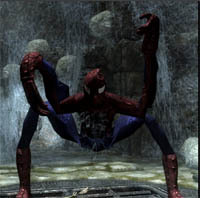 A joke really, this mod changes all spiders into hilarious Spider Man looking creatures. They actually look more scary than the real spiders!! The mod uses a custom texture that re-skins the spider creature into the classic red and blue Spider Man costume. It's all messed up though as you can see. This guy is useless and probably the saddest resident of Riverwood. Currently he doesn't do much but the author will add dialog and trading capabilities soon. Imagine trading with Joe the crab!